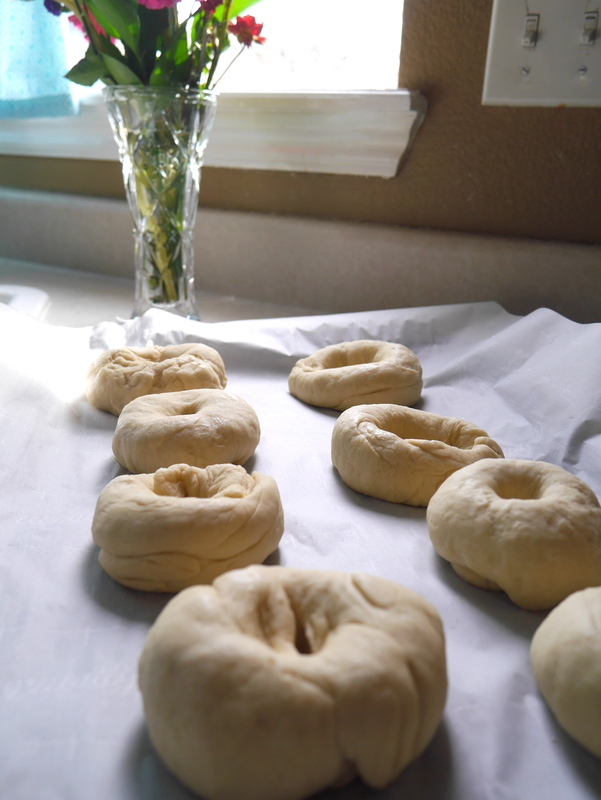 Bagels are formed and waiting to be boiled. Yesterday I made homemade bagels for the first time ever! I used this recipe and followed the advice from this redditor’s post to make my very own bagels. I didn’t do great at rolling the dough into balls but that didn’t stop the bagels from being tasty. It took about 2 1/2 hours total from start to finish, which is more than the recipe says, but most of it is waiting for the dough to rise, rest, or bake. There is only five ingredients in the recipe and overall it’s pretty easy to make. Since it was my first time attempting these I only made plain but blueberry or cranberry bagels do sound delicious. 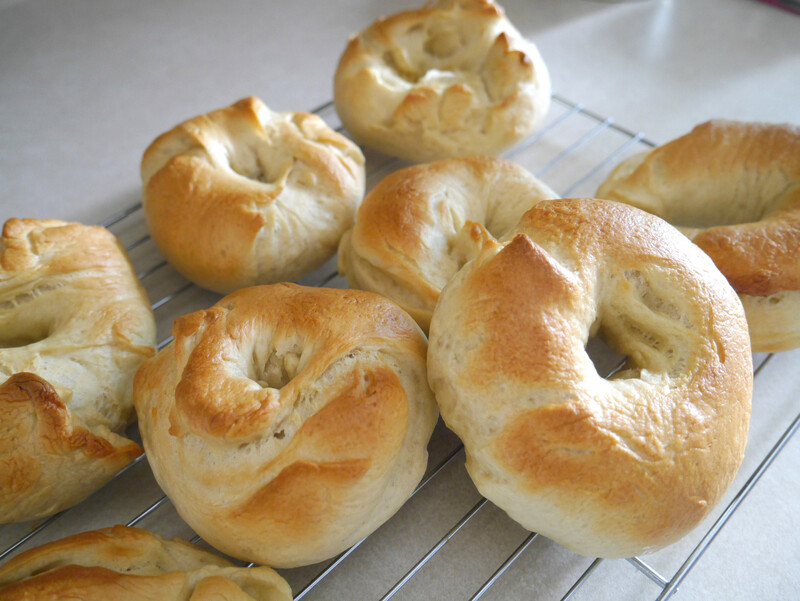 I also want to try making mini bagels one day stuffed with cream cheese. Gene had the idea of making mini pizza bagels, with cheese, tomato sauce, and pepperoni inside a bagel. Guess I’m going to make these again sometime!